In early 1980, young Takanobu Ito was tasked with developing a sportier version of the Civic. Back then, the Civic’s popularity was already cemented thanks to excellent fuel economy and fun-to-drive nature.  But the Civic was did not portray a sporty image and young Ito-san’s responsibility was the chassis development of a new project called “Civic Renaissance-Experimental”. Unbeknown to most, Honda's 'Man Maximum, Mecha Minimum' concept was applied to the new CR-X, allowing the 3,675 mm long CR-X to seat four with relative ease.  The 'Man Maximum, Mecha Minimum' concept was later renamed to 'Man Maximum, Machine Minimum'. The new model was later known as the Honda Ballade Sports CR-X, though the name was soon dropped in favour of a much shorter one – CR-X. Honda’s first generation CR-X was launched in July 1983 in Japan, where the new model was available with two different petrol engines – a 1.3-litre and a 1.5-litre. 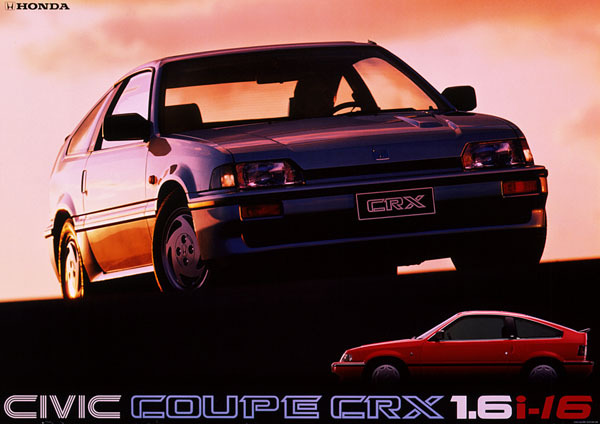 A 5-speed manual or a 3-speed automatic could be had with the regular CR-X models. 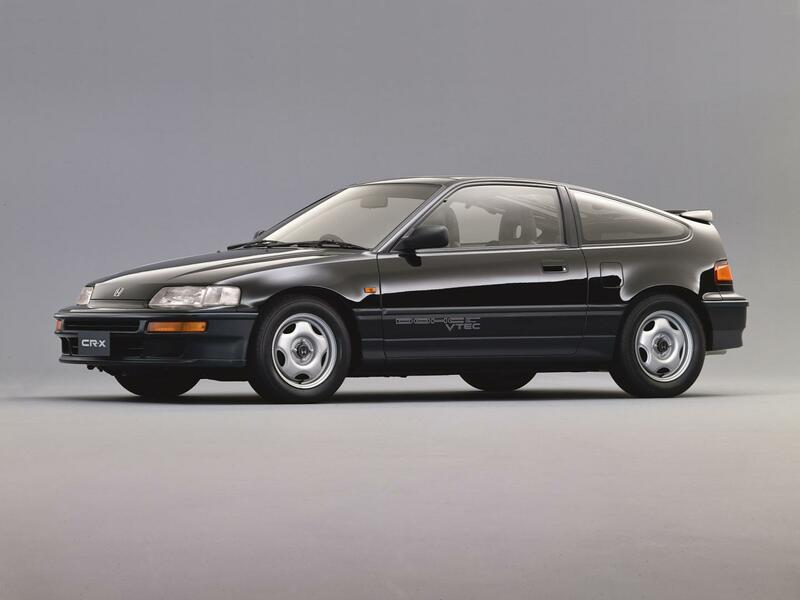 Honda introduced the CR-X Si a year later, powered by a 1.6-litre ZC-series petrol engine. With 135 PS on tap mated to a 5-speed manual, the CR-X Si set the precedence for future Honda hot hatch models. Thanks to a paltry kerb weight of below 900 kg and eager-revving ZC powertrain, the first generation Honda CR-X Si proved that driving a slow car fast can be fun. The CR-X Si was further differentiated from its plebian siblings by its bespoke interior and exterior. The sportier Si had standard alloy wheels, though the audio system was an optional extra. Thankfully power steering and air-conditioning came as standard fitment. Famed Honda tuner Mugen also released a version of the CR-X called the Mugen CR-X Pro, which debuted at the Suzuka Circuit as a pace car. 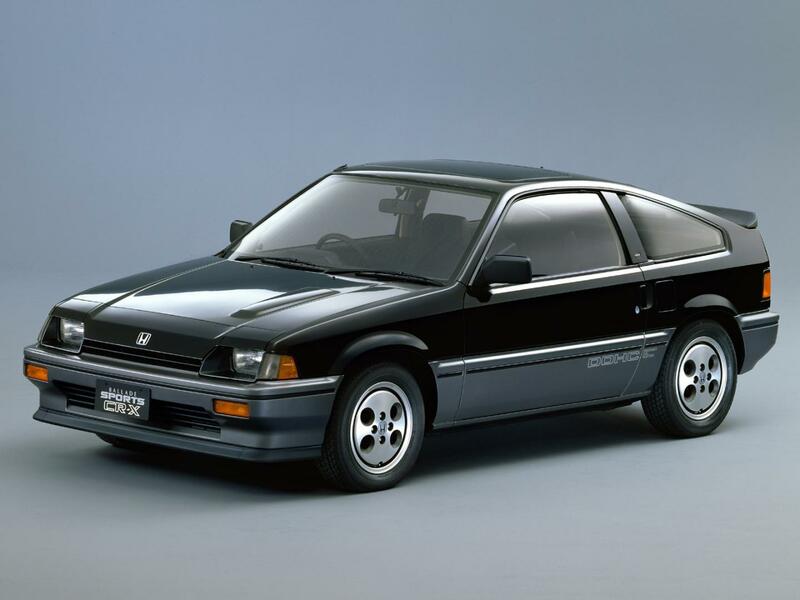 Seeing that the first-generation Honda CR-X is now 35 years old, it is now eligible to be imported into Malaysia under the revised Classic Car AP, which was raised from 25 years to 35 years last week. However, finding a mint condition CR-X would be a challenge considering its age. Expect to pay more than JPY 1,300,000 (~RM48,000 excluding shipping fees and taxes) for a decent condition first generation CR-X. 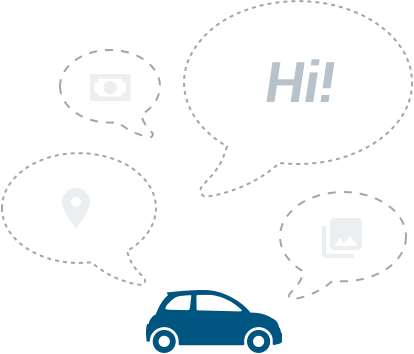 For a list of vehicles that meet the 35-year ruling, check out this excellent piece by our friends at BehindTheWheel. The second generation Honda CR-X was introduced in September 1987, with a redesigned suspension set up. Out goes the first generation's beam axle and training arm suspension set up, the new generation CR-X received a more sophisticated all-round independent suspension set up. 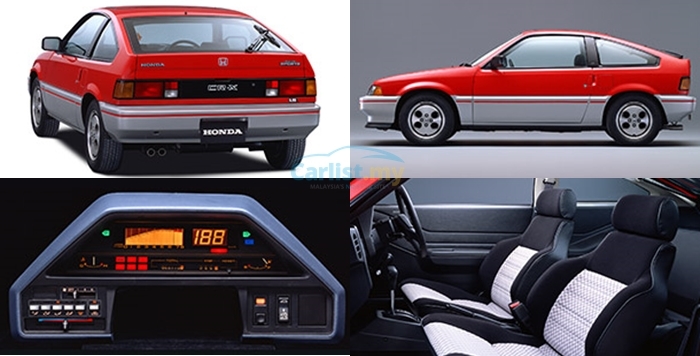 Apart from the regular 1.5-litre model, Honda also introduced the hotter SiR in September 1989, powered by the venerable 1.6-litre B16A that screamed to an 8,000 rpm redline. The second generation Honda CR-X SiR won't be eligible to be imported here until 2025.